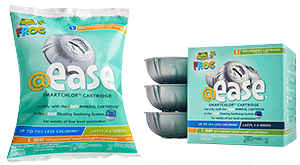 Home / @ease SmartChlor Replacement Cartridges 3pk. 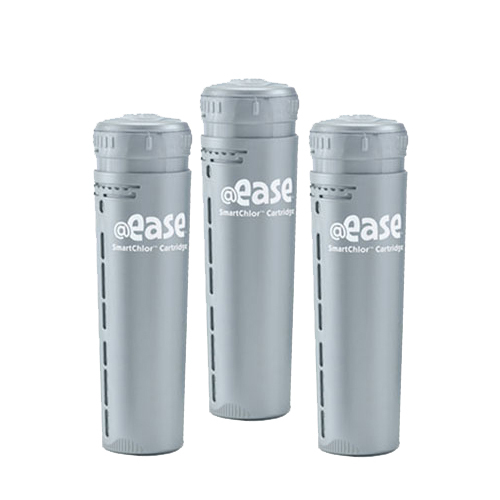 Introducing the innovation of SmartChlor® Technology – the self-regulating chlorine that works together with FROG minerals in the easy to use @ease Floating System. 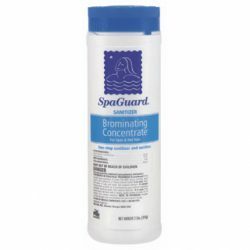 Enjoy the benefits of Fresh Mineral Water® that’s cleaner, clearer, softer and easier™ to take care of with the unique properties of SmartChlor Technology that uses up to 75% less chlorine* and greatly reduces hot tub maintenance like shocking. 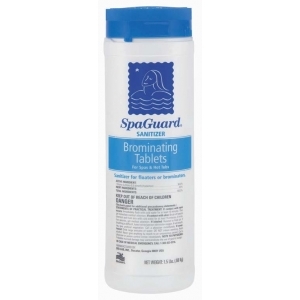 Products Related To @ease SmartChlor Replacement Cartridges 3pk.